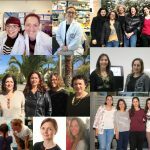 This will be another great opportunity to showcase exciting research conducted within the EU funded innovative biotechnology projects MetaFluidics and CarbaZymes, in which UAM is an active partner. This research work was also presented as a poster at the Spanish Society for Microbiology conference on Teaching and Dissemination of Microbiology in Madrid in July, where it was awarded first prize. 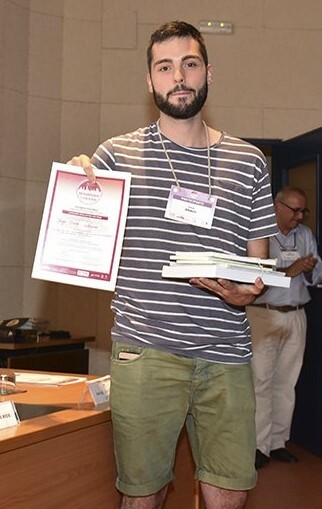 Jorge Bravo, MSc, received the prize on behalf of MetaFluidics, CarbaZymes and UAM. Take a look at the video of the scientific session jointly organised by the MetaFluidics and Virus-X projects during Euroscience Open Forum 2018 (ESOF) in Toulouse (July 12)! 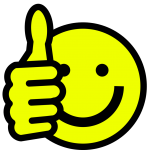 EU-funded MetaFluidics project is officially past the mid-term! 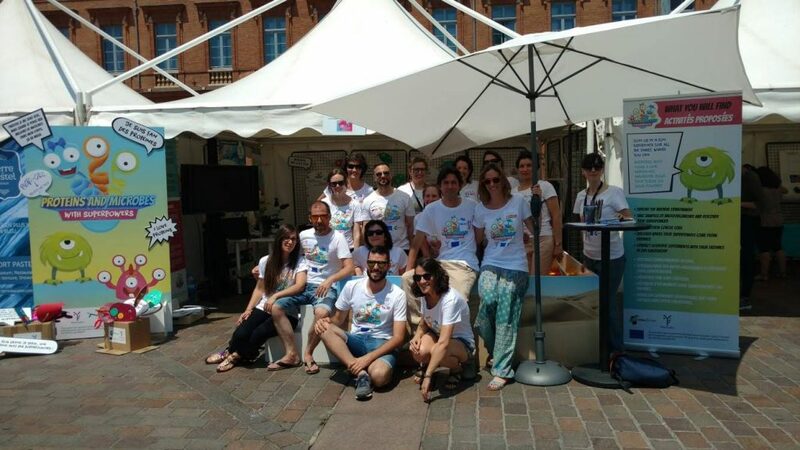 After two very active years of fruitful work, the whole MetaFluidics consortium gathered in Toulouse, France on June 5-6, 2018 to celebrate its mid-term progress. This was a fantastic opportunity for project partners to assess and share results, as well as prepare forthcoming actions. Over the past two years, the project partners have been busy sampling the natural (extreme) biodiversity to create new metagenomic libraries and find relevant genes, enzymes and molecules present in extremophile microorganisms, among others. They have also developed new enrichment methods and screening assays, making use of microfluidics, the manipulation of liquids at a micrometric scale. We are now putting all these methods in practice to screen the biodiversity. 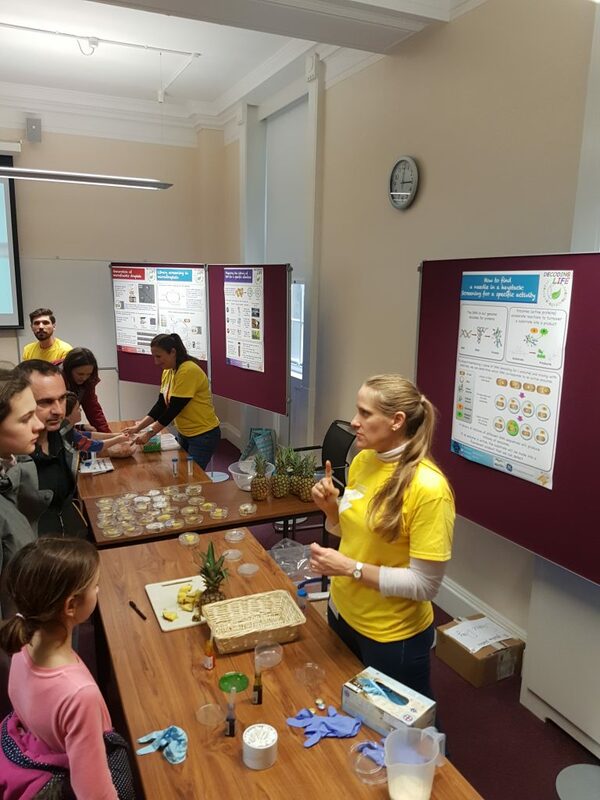 In particular, partners showed progress in the screening of enzymes using different hosts, including extremophiles, to access as much biodiversity as possible. A wide range of assays was presented: to screen for enzymes or genes, both naive and sequence-based, single-step conversions or cascade reactions. In a word, we are getting closer and closer to the lab-on-a-chip!! Very useful exchanges took place during the meeting in Toulouse, both in terms of method optimization and on how to best exploit the cutting-edge science that is being done and the technology that is being developed. 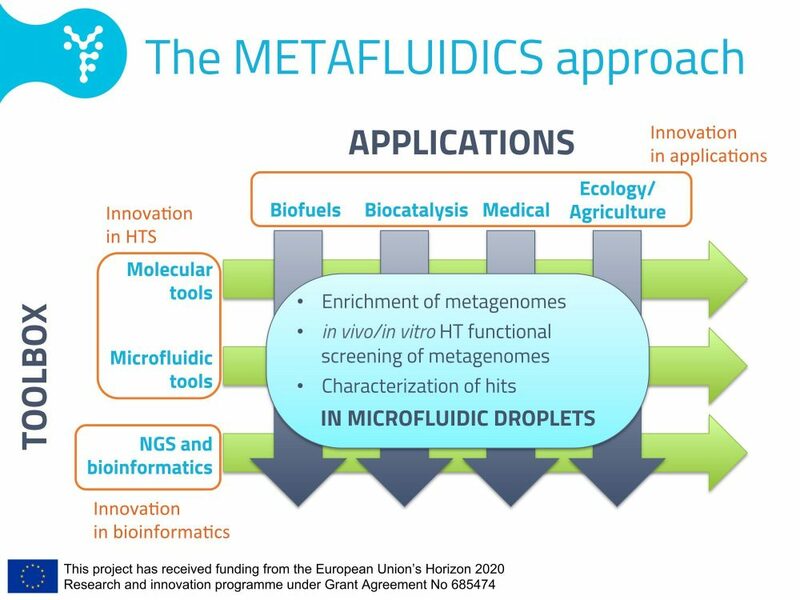 In particular, MetaFluidics is actively seeking to expand the number of its stakeholders and to establish synergies with other EU-funded projects. Dissemination of the project results has been quite active too with 12 planned or effective publications in various peer-reviewed scientific journals and regular participation in international events and conferences. 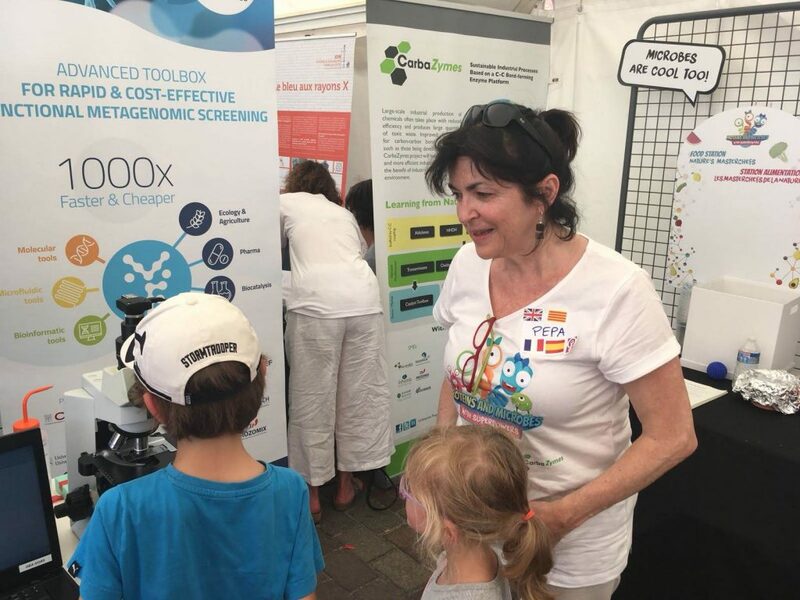 Communication and outreach to the general public are also taken very seriously, with a strong presence in the upcoming ESOF 2018 events in Toulouse: one scientific session entitled “Going to extremes” will be presented during the Forum, while the MetaFluidics team will also be present in the “Science in the City” village to show adults and children that proteins and microbes can have superpowers! 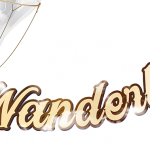 The official project video will also be released soon and other communication actions are planned in the coming weeks or months. 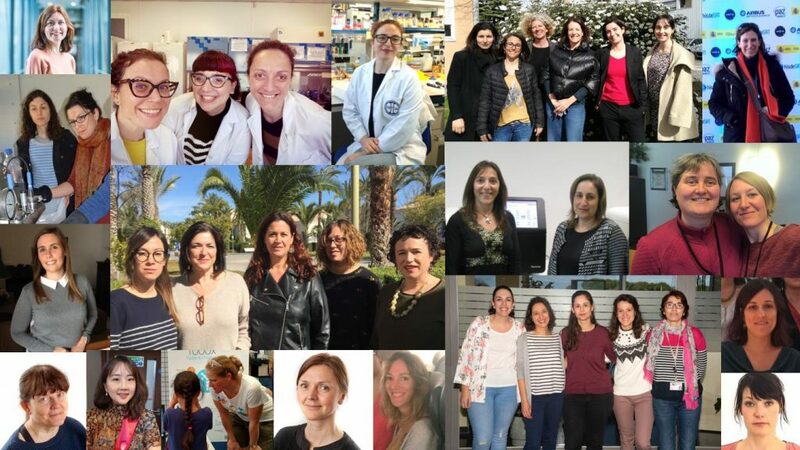 For more information on the MetaFluidics project and its activities, please check our website: www.metafluidics.eu or contact us at info@metafluidics.eu. 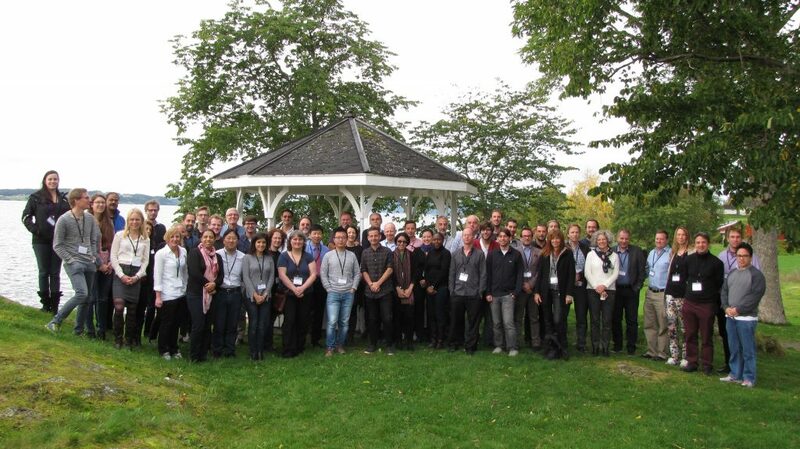 The Functional Metagenomics 2016 conference took place in Inderøy, Norway, on September 25-28, 2016, with the participation of several MetaFluidics partners. This was the 2nd open conference of ‘Functional Metagenomics International’, which was formed in 2011 and consists of a growing number of researchers around the globe sharing the interest in studying environmental metagenomes based on encoded functions and in developing efficient tools to exploit these using function-based approaches. The Conference brought together interested researchers working in the field of Functional Metagenomics for three intense days of scientific presentations, as well as vivid discussions leading to exchange of knowledge and latest research results, in the inspiring surrounding of Mid-Norwegian nature. The informal setting and small format of the conference, as well as the participation of world leading researchers within the field ensure high quality, in-depth scientific discussions both in the plenum, in extended breaks and at social functions. The great and positive response to our invitation indicates the increasing relevance of metagenomics research in functionally describing microbial biodiversity on earth and targeting its exploitation towards new products for a wide variety of applications for the benefits of society and to contribute to solving some of the key societal challenges of our time. On 15-16 November 2016, Project coordinator Dr. Aurelio Hidalgo and Dr. Michael Lappe fom partner QIAGEN Aarhus were honoured to take part in the European Commission’s second Workshop on “Maximising the Impact of KET Biotechnology”. In line with the goals of Open Innovation, Open Science and Open to the World, the workshop gathered a range of academic and industrial project beneficiaries representing 21 KET Biotechnology projects funded through Horizon 2020, representatives from the European Association for Bio-industries (EuropaBio) and the European Federation of Biotechnology (EFB), delegates from jurisdictions leading in biotechnology (USA, China, Korea and Japan), an expert on standardisation in synthetic biology, representatives of the Bio-based Industries’ Joint Undertaking and representatives of the European Commission. Discussions focused on ongoing European research and innovation biotechnology projects and their future added value, thereby providing an opportunity for project partners to show actual and potential progress towards expected impacts, as well as a diversity of scientific, industrial and market difficulties and challenges in modern biotechnology. 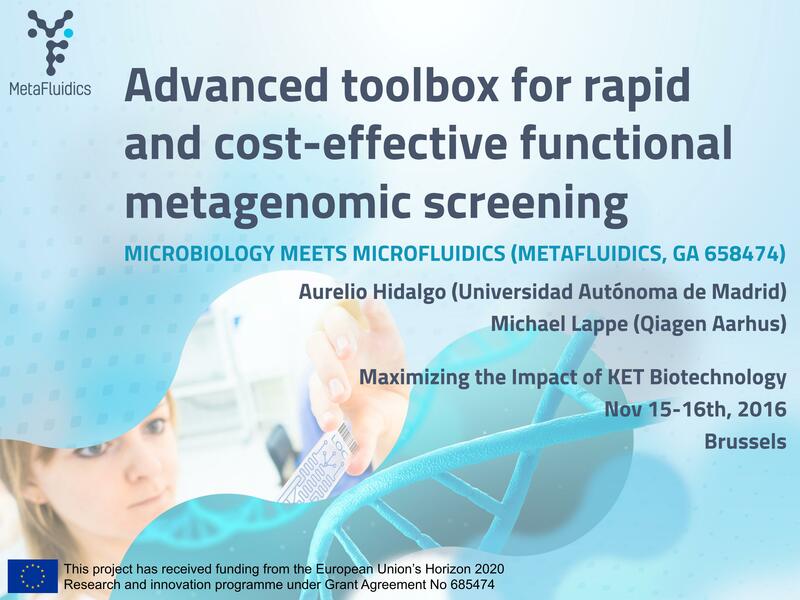 Dr. Hidalgo and Dr. Lappe presented the objectives of the MetaFluidics project and how we propose to overcome a number of current bottlenecks through innovative metagenomics technologies. Projects Metafluidics and Carbazymes organized an International Workshop on extremophile research in Alicante. International experts on extremophilic microorganism research came together between 26th and 29th June to teach in the Workshop “Technical approaches to the study of extremophiles”. 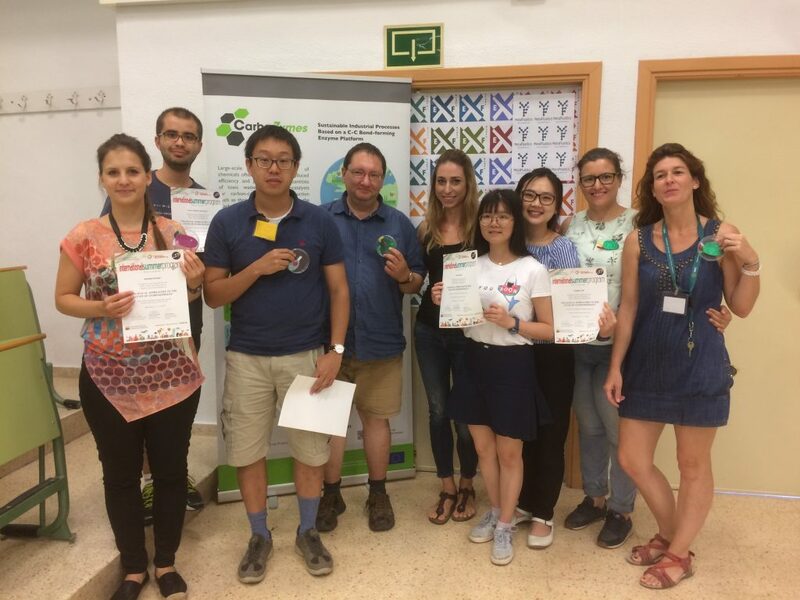 Hosted at the University of Alicante and directed by Prof. Pepa Antón, the course was coorganized by the Spanish Network for Extremophiles and the research projects “MetaFluidics” and “CarbaZymes”, both funded by the European Commission. During the workshop, 34 students from 5 different countries had the chance to learn from the experts and get hands-on experience in handling and analyzing these peculiar microbes. The program, which included theory and practice, included instruction by renowned experts such as Francisco J.M Mojica, discoverer of CRISPR systems , CSIC scientists Mª Asunción de los Ríos, Jacek Wierzchos and Juan Miguel González, Aurelio Hidalgo (Coordinator of Project MetaFluidics),” and several microbiology professors from Autónoma of Madrid, Granada, Sevilla, Helsinki or Warwick universities, Helsinki. Extreme environments are locations with a temperature, acidity, salinity, pressure or radiation levels that are hostile to life, from an anthropocentric point of view. Organisms that dwell in such environments are called extremophiles and they have adapted perfectly to function under such conditions. The interest in the study of extremophiles lies in a better understanding of evolution and the origin of life on Earth, as well as the possibility of life in other planets. Additionally, these microorganisms are coveted for industrial applications due to the extreme resistance and tolerance of their proteins. 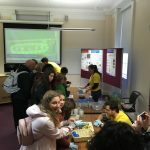 In this workshop, the most current techniques were presented, from biochemical characterization of enzymes to the analysis of the microbial communities that live in these extreme environments. The group of international students, together with their supervisors. 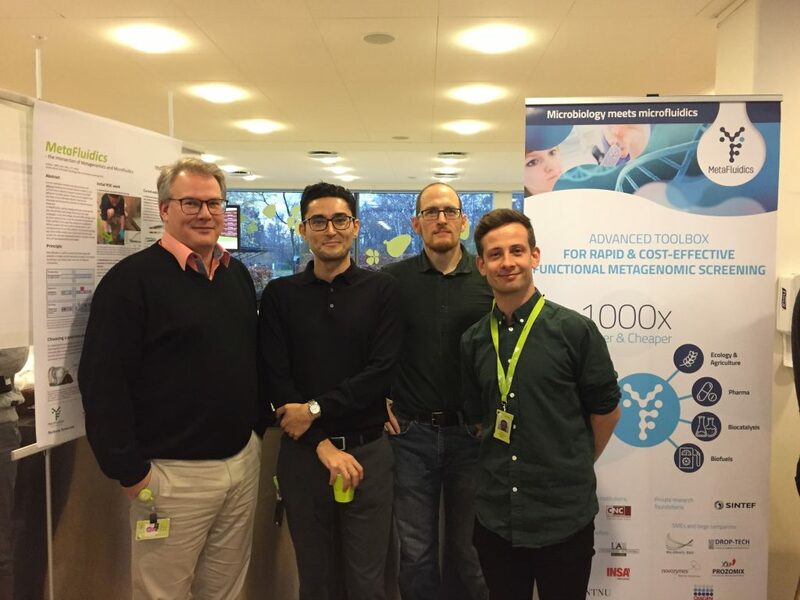 On Friday 25 November, MetaFluidics partner Novozymes organised a very enriching internal R&D meeting in Bagsværd, Denmark. 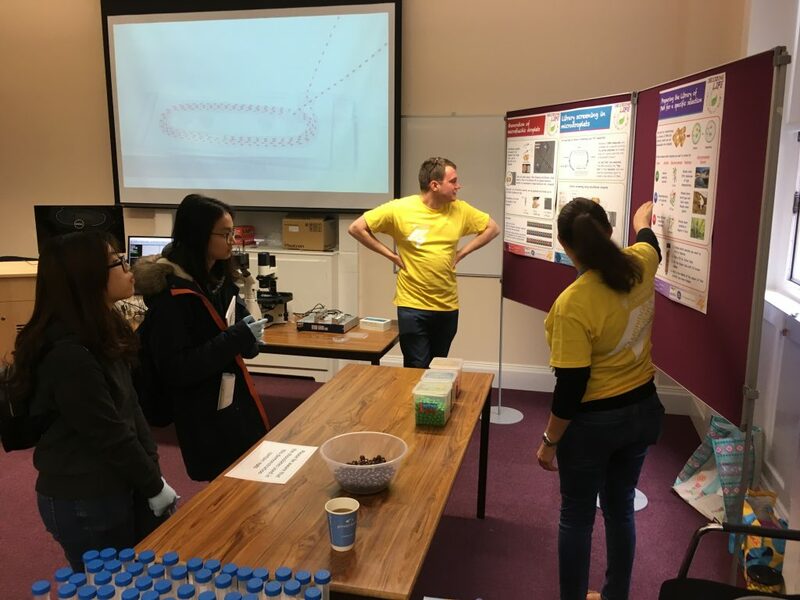 The MetaFluidics poster was especially successful and attracted many listeners !! Great news! 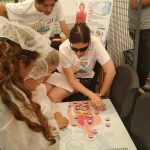 MetaFluidics has been selected to take part in the Science in the City Festival, a free event organised during ESOF 2018 inToulouse (France) from 7 to 15 July 2018. For the first time in France, after Copenhagen in 2014 and Manchester in 2016, Toulouse has been chosen to host this European biennale of Science (ESOF 2018). 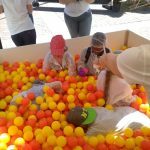 From 7 to 15 July 2018, the Science in the City Festival, an integral part of ESOF, will invest the city and its surroundings.and will be dedicated to the general public. 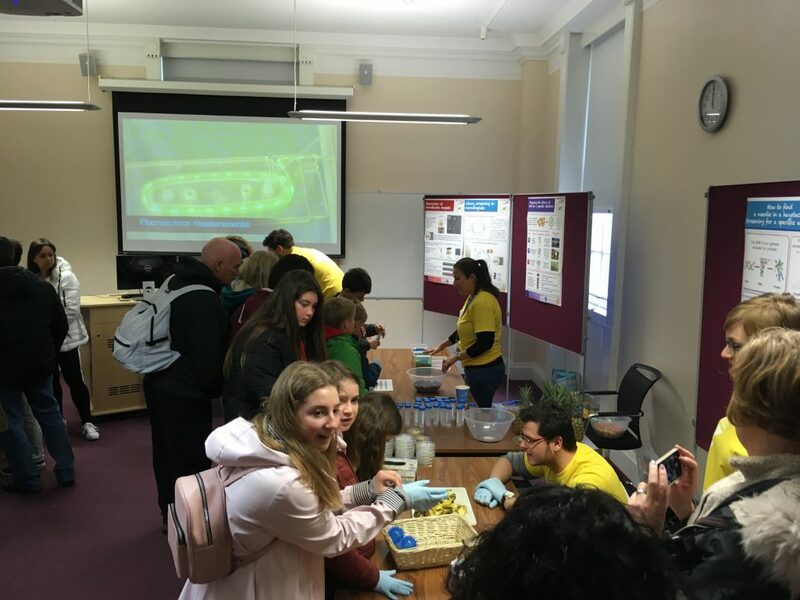 As a free event, the Festival is aimed at people of all ages who are curious about science and innovation. 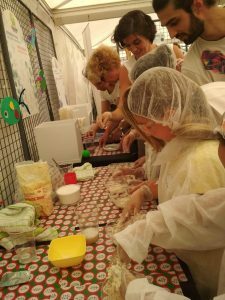 “Proteins with Superpowers” is an immersive experience in which participants will go through an interactive, hands-on, simulated process of discovering microbes in nature, extracting their enzymes and putting them to industrial use. 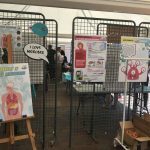 The proposed activity seeks to communicate to a younger audience the relevance of microorganisms, enzymes and industrial biotechnology for the welfare of our society. 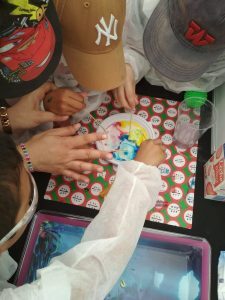 Enzymes with superpowers: an activity focused on enzyme discovery and application for participants ages 14 and above. The proposed workshop will be complementary with the scientific session “Going to Extremes” also proposed by the MetaFluidics team during ESOF 2018. We look forward to meeting you in Toulouse in July 2018. Save the date and stay tuned for more information soon! Great news! MetaFluidics has been selected to take part in ESOF 2018, that will be held in Toulouse, France from 9 to 14 July 2018. The EuroScience Open Forum (ESOF) is a biennial interdisciplinary general science meeting and the highlight of the European science calendar. The MetaFluidics scientific session will plunge into the fascinating world of extremophiles by covering various extreme environment such as hot springs, Arctic/Antarctic, salterns, acidic rivers, deserts, etc. 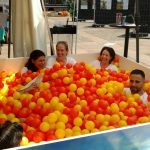 ESOF 2018 is constructed around the motto “Sharing science: towards new horizons”, which means bridging barriers between disciplines, communities and countries, making a link between generations, encouraging and welcoming citizen aspirations and initiatives, and being the anchor of a knowledge based society. Sessions will focus on current and future path-breaking science and its ways of producing and sharing knowledge and innovation. 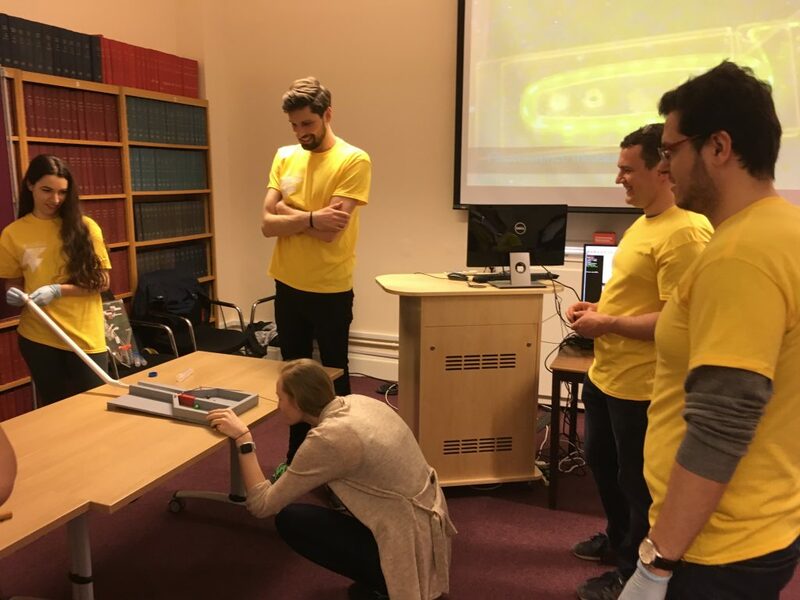 ESOF includes all disciplines, including arts, social sciences and humanities, as well as physical and life sciences, engineering and medicine.